Yesterday, I pulled a statement from a Q&A document prepared by Robert Stuart of MQA and Meridian. In response to my question about the applicability of MQA to high-resolution music and older standard-resolution formats like “analog and CD-Quality” music. My question should have stated, “analog tape” instead of “analog”. Or course, analog sound or live performances of music are “high-resolution” to those present in the venue. It struck me as a little strange to associate high-resolution and a purely acoustic event. I took his point without referencing the AES article footnote. I’m pleased that he read the post and send along the following clarification. I was confused by my poor wording of the question. I apologize for the mistake. I noticed your post. This is one sentence out of a 1-page answer and on its own can be taken out of context! It is self-evident that not all digital formats are perfect (e.g. MP3). Similarly, not all methods of analogue recording give high resolution. Interesting (and occasionally important) as they are, the cylinder, shellac or vinyl record (although some disagree in both cases) or cassette tape are very compromised. By the way, my sentence was not qualified by anything to do with recording, but if we stick with recording, I would not have suggested vinyl was very high resolution, principally because since the 1950s such a release has generally been 2 generations away from the captured recording and implicitly if not actually tamed at low frequencies and boosted at highs to allow the cutter to do its job. The format is largely incapable of response beyond 20 Hz – 20 kHz. My point was more fundamental, namely that the sound we hear is analogue (in air) and any recording method has to translate the original analogue through a carrier and back to analogue. Since the 80s we tend to use a digital channel in the middle. If I sit 10 ft away from a live piano performance, it is an analogue path; no-one can tell me that the resolution is not high. Now, if we put up a microphone and listen to that feed (over a good monitoring system), it is still analogue and the resolution will still be high – diminished by the microphone and electronics – but still the best we can get if a recording system is interposed, be it analogue or digital. But we must remember that irrespective of the digital channel, the analogue electroacoustics at both end have to be as good or better. Feel free to either post this comment verbatim or add it as another Q in in the Q&A. Again even though in reality it is analog at the live performance at a rock concert amps add distortion and sound varies tremendously due to reflections and your surroundings where you sit. This as well as your age, physical ear characteristics and crowd noise like a moving car has wind and road noise. So many variables. I was pretty specific that I was talking about acoustic experiences…not sounds picked up by microphones and delivered through PA systems. You’re right. Most concerts have amplification. Is that not the common sense understanding of your post? Why would anyone reference your statement to mean that the sound of a live performance is not hirez? Is his response just meant to somehow discredit you or confuse the whole issue? This stuff just gets too damn silly sometimes. The terminology gets a little messy in this regard. I would never use the term “resolution” with a live acoustic music experience…it’s simple the real thing. Not analog or digital…it’s acoustic sound. I don’t feel my reading of his comments was unexpected given the context of the question. I personally think that both formats CAN be, but often are not. As Mark has said previously it is all starts in the tracking and I feel that anything less than beginning at 2496 is a huge mistake the industry has made and just “repackaging” files to 2496 or more is not necessarily an improvement, but great mastering can never be discounted. To me the issue of the inherent noise floor and the ambient noise of the room and the medium are all a huge part and where the beautiful, natural reverb tails and natural decay of our music must fall into and be heard to really obtain all the enjoyment possible. Dolby A and SR have made a huge improvement in this area analogue, tape based tracking, but there is still a component of distortion that will never be lower than digital in either 2496 or 24192, both of which I love. I may do some DSD recordings later this year, but I can do 24192 and am more than satisfied that this is the most remarkable advance in recording that ANYONE can do now with very good to excellent quality. Any more improvements must come from better mics and mic preamps for me now. A costly proposition for sure if one is serious. Once you have captured all you can then the hard work begins to make it all come together in whatever format your client wants. Great mixing and mastering (Sterling Sound & others for sure) are the second keys to make a truly remarkable recording, but there are still many great recordings (ECM and many others) that might have started at nothing more than 16/48 or 24/48 or on great condition R2Rs @ 15 to 30 ips. Too many variables come into play. The microphones matter greatly as do the mic preamps and then do the people involved in the project really care about leaving the recording venue with all they can or just leave capturing “enough”, whatever that means? I think this was one main point Mark was making about these critical choice being made early on that decide everything. Yesterday I did some work at 2496 was thrilled that I had nearly reached a -80db noise floor that made a recording just rest in a beautiful, black space and just be all it could be. No noise, no background hash or rush to disturb the performance. It did not necessarily make the performance better, but just presented it in a much better way. It was just laid bare for all to enjoy. With disc space so cheap these days and quality, affordable converters available to all there is no reason not to track at 2496 or 24192 to begin with and start with all you can. Why this is not going on is a mystery I will never understand? Things change over time and the music industry is turning out great projects all the while the masses fall in love with 128, 256, 320k mp3s and that is the sad part of what they COULD be hearing. I have just finished up some public school choral concerts which have always bothered me in that all too often one could not make out the lyrics the choral group was performing all because of format choices in the tracking and vocal articulation. Now with mics with a noise floor of -5db, and 24192 tracking much of this is gone and now the choral group is laid bare and must now work to sing properly and articulate better. If one is going to sing, being understood is critical in the process. I now demand that the HVAC system be turned off during the performance and that has made all the difference as well. These choral directors and students who do care about their performance are now working even harder in preparing for their competitions after reviewing these recordings and they will be way ahead of the game when their regional and state performances come about next week. I find these exchanges much too detailed and in the weeds. I believe most clearly know that the issue deals with recorded music, not live performances. Stuart just backtracking in an effort to cover himself that analog recordings are high resolution which they are not. If I had read the footnoted article, it would have been much clearer. I don’t fault Robert for a strict reading of my question. His response was meaningful and cleared it up. I think this is a really poor argument by RS. Almost a copout, to be honest. Everybody knows that in every instance, ‘digital audio’ is actually just the middle part of ADDA. And if that’s digital audio, then what is the alternative, that we call ‘analog audio’? It has to be analog recording and analog playback, i.e. you have to take the two middle ‘D’ bits out of ADDA and replace them with analog alternatives. That’s analog audio. Very generous of you Mark to blame yourself and your question, but really. Robert has been a friend for a very long time and I have the greatest respect for his knowledge and inventions. We both got somewhat twisted up with the question and answer. I could have been clearer but I don’t accept all the blame. I applaud your diplomacy and PC’ness. Not true…I have tremendous respect for Bob Stuart and consider him a friend. His comments were somewhat askew from my own way of expressing issues of analog and digital but he made his point. The “we hear analog” is a bit misleading. 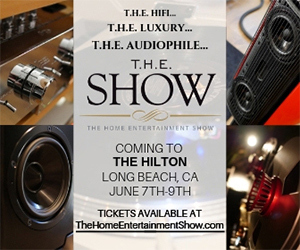 In audio, analog is referred to the way sound is captured and reproduced electronically. In medical terms, we do not “hear analog”, just sound waves. When I clap my hands, I do not create an analog signal as there was no electrical sound wave production / reproduction, just sound waves. Ask any Otolaryngologist and they will talk to you about sound waves and SPL. It is easier to talk about the way we hear as analog in the same manner that people use stair-steps to describe Digital. Also, it is challenging to call the sound we hear in a room “High Resolution” because again, we are not talking about a technology to capture or reproduce sound. I do believe as you often mention that any technology that can capture the sound we hear or even to exceed it should be called High Resolution. Although pretty clever technology, I do see MQA as a solution looking for a problem. Time will tell but the focus of this industry on enhancing playback after the fact instead of creating better recordings is puzzling. Thanks, I’m with you on this. Using these terms when referencing actual acoustic energy reaching our ears seems incorrect. Sound is actually compressional waves that are more like sine waves as it is the freq that hits your ears, even though our ears are not linear devices. Thinking of it as a kid’s “slinky” will maybe help make sense of it. You can pull it apart for less frequencies per distance or closer together for HF simulations. It is a vibrational force which is the same thing our speakers and headphones do to take voltage and convert it to movement and force pressure against bodies and ears. The microphone is just the other end capturing rather than transmitting. The digital I/O hard drive or the tape medium is just the capturing device just like a glass captures the water from the faucet. If we over-fill the glass it spills, “distortion”. This is more of a physical description of digital as “overs” are very bad. Analogue tape is more forgiving, but distortion increases quickly after 0db, often to 3% when drive past +3-6db. Tape can only hold so much in trying to get away from the -55db tape hiss. In digital we have the best black backgrounds ever. -96db to -144db is the theoretical, except the quietest transistors are -138db so pretty pointless to even worry about anything past -96db, which is plenty of dynamic range. I read one engineer say that even 16 bit/96khz works fine, but with everything 24 bit or 32 bit float, I think that any less than 24 bit makes no sense these days. My thoughts are that if you like what you hear, not much else matters. If MQA or anything else floats your boat I am happy for you. 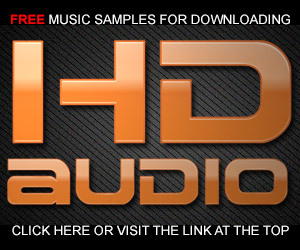 I am glad companies continue to try and push the envelope to make our music sound its best. Just enjoy whatever music you like and have, in any format. A better player, amplifier, or DAC is always welcome. I doubt anyone was ever disappointed in any Meridian product. They have always tried to lead, not follow. Meridian equipment is in my rack and has always been superlative…not “congested, flat, harsh, or glassy” sounding. We need 24 bits for recording and production but it’s overkill for delivery. But it’s easy…so why not. I agree. To call reality analog is to not even understand the meaning of the word ‘analog’! Does he know what the phrase ‘A is an analog of B’ means? How can Stuart even write the words “the sound we hear is analogue (in air)” and keep a straight face? It’s challenging to sort out the terminology and be clear about what you mean. I believe Bob Stuart responded to my question in a way that I didn’t expect. But then, I knew what I was thinking when I wrote it. What is high resolution audio? It is a marketing term and has no scientific validity. I pointed this out in a previous post in which the definition of resolution is related to the smallest incremental changes that are perceptible. It was defined originally for optical systems such as lenses, mirrors, and photographic film. 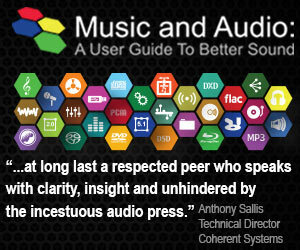 It does not apply to audio systems as we know them. Can analog tape and phonograph records be used for what is more appropriately termed “high definition?” The answer is probably yes. FR of vinyl can be extended to at least 40 kHz. The proof was the discrete 4 channel system developed by RCA in the mid 70s called CD-4. In this system the rear channels were upshifted above 20 kHz and then decoded on playback. But it took very high compliance low dynamic mass cartridges to play these recordings to extract the outband signal and not destroy it. MC cartridges need not apply. Only a few MM models were produced. Analog magnetic tape can be used to record and play signals up to at least several megahertz as proven by video recorders. Because of this, the earliest machines capable of digital recordings used videotape. the helical scan method produces an effective tape speed that is very fast. What about dynamic range? Dolby noise reduction showed that precision compression/expansion could significantly increase dynamic range. The system could have been further developed to be made more extreme but that was unnecessary as the analog age was coming to a close. Phonograph records are inherently limited but the Dolby signal could have been recorded on vinyl in its encrypted form and decrypted in the consumer playback system. All unnecessary as the digital age came into existence. Can people really hear above 20 kHz? They couldn’t back in the old days but now through the use of organic food, exercise, herbal supplements….they still can’t. One example is a site called “mosquito ring tones.” This allows school children to use high frequency tones for their cell phone ring tones at frequencies they can hear but their teachers can’t. You can use it to test your own hearing limits. Do we need sound systems with dynamic range beyond 100 db? I don’t think there is much music that exists that could exploit more than that. Do we need to compress digital audio files to record sounds we can’t hear from music that doesn’t exist? What does a microphone do? It turns a variation in air pressure called sound into an analogous electrical signal. It also turns the vector sound field into a scalar electrical signal. Headphones deliver the equivalent of scalar fields. Loudspeakers turn scalar electrical signals back into vector fields and compared to the original vectors these fields are all wrong. Vector distortion could be said to be nearly 100%. 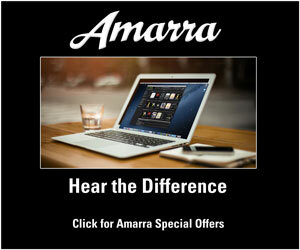 If you want pleasing sound systems and recordings you already have them. If you want recordings and sound systems that remind experienced listeners of live unamplified adult music you’re firing all of your bullets in the wrong direction and are missing the target by a country mile. Analog tape and vinyl LP are far from high-resolution formats. I require a format to be able to match my ability to hear and neither of those formats can achieve that level of performance. Just because the music was hear doesn’t necessarily require huge dynamics doesn’t make compromise necessary. I don’t agree with your position on this. 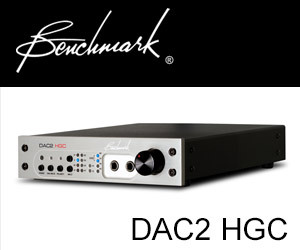 It’s so easy to make and deliver great sounding recordings at 96 kHz/24-bits, why not do it. They even sound great if downconverted to 44.1/16. I agree that in the way they were developed and used for audio they are far from what you’d call high definition or high resolution. But I think you missed my point. And that is that they could have been further developed to achieve what you call high resolution by your criteria. There were good reasons not to develop it further though. FR extended beyond 20 kHz may seem critical to some users like audiophiles but not to the engineers of that day. I know we are on opposite sides of that debate and I don’t care to re-argue it now. Dynamic range is another story. Vinyl does not have sufficient dynamic range for much orchestral music. But for pop music it is more than adequate. Pop music rarely has a dynamic range much greater than 10 db and you know that no matter what the capability of the equipment, engineers today will record pop music to overload to be as loud as possible on the radio, distortion be damned. Anyway the RBCD came along and further development of analog tape and vinyl records became pointless. The commercial success of RBCD was more than sufficient for most of the market and remains sufficient for me. My bullets are all fired in an entirely different direction. The self imposed limitations on dynamic range should not dictate the specifications of audio formats. Why not establish a format that meets our real life experience and then let the creatives do whatever they want. I know commercial music rarely needs or uses wide dynamics and few environments and systems can realize it, but that doesn’t mean I have to compromise. Is this possible or it is another snake oil? This is obviously snake oil! Note the date of the article. Clearly an April fools joke. And a good one at that! No fooling around from me! There’s a little hitch in the giddy-up here. To paraphrase, you have stated that low-quality MP-3 files are evidently audibly poor . Then you tell me that folks can’t tell the difference between one level of resolution and another. I don’t know how the CEA study was conducted, but I do see folks react every day in my shop w/ amazement when they hear music presented in as close to master tape grade as possible. Over the last 32 years, I have seen that almost everyone easily detects these two things:#1, when distortion drops significantly, and #2, when wider bandwidth playback is delivered. It’s kind of working at cross-purposes to deny the audibility of higher-res and then promote the audible wonders of Hi-Res. That’s why I like to stay in the middle; polarized viewpoints never lead to progress. Have you heard about the study by Apple & Sonos? Now that is worth crowing about over and over and spreading the news instead of the constant parsing of technologies. From whatever quality format folks receive low-distortion music playback in their homes, we are now allowed by virtue of the results of the above-mentioned, large scale study to simply inform people that until clean music sound is flowing in a home, the concept of ‘the good life’ is significantly incomplete regardless of economic status or other high quality lifestyle elements and that there is no substitute for this positively transformative energy in our lives. Now that is worth a column or two! Hi Craig, I’m a fan of really great sounding recording that started life as source high-resolution audio. There’s lots of recordings that will never measure up and deserve to be heard as good as they possibly can. No problem with “first generation master” or whatever you call it…except that no one ever knows what the first generation master actually is. It interesting that WB has commissioned a 5.1 surround mix of Fleetwood Macs “Mirage” album. The album archive notes (150 pages!) are here. There are extensive notes about the sources, transfers, baking, converters, software etc. They struggled to get the multitracks into the digital domain (at 192 kHz/24-bits). I’m going to do a spectral analysis on the some of the files and see what’s actually there…I don’t think there’s very much. People want music that they are familiar with…they don’t really care about the fidelity. Hi Mark, what is so unfortunate is that many of the performances that I enjoy were recorded in the early 1950s. I will assume that what was recorded on analog tape from those performances will be the best resolution you can get even if the “data” is massaged in the digital? Furtwangler’s Beethoven’s 9th comes to mind. Yep, that’s the sad fact. Until time travel comes along. I’m disappointed that Bob Stuart repeats obvious fallacy that sound in air is analog. Sound pressure changes in air are not analog, they are themselves. Only a method of representing something else can be analog, and then of course it is the method of representation not the thing itself which is analog. This may seem like nit picking but it isn’t: allowing oneself the foolishness of saying that sound on air is “analog” is just the first stage of a self-deception pursued in following the thought that “analog” is natural. Analog is no more natural than digital, because the original thing being recorded is not analog. This idiotic false premise leads people towards the absurd and indefensible position that recording sound pressure changes by scratching a groove into a piece of vinyl is somehow natural because it is analog. I agree with you on the analog description of sound in air. It struck me as weird as Paul McGowan talking about high-resolution analog. The terminology is not really that difficult.